February 25, 1986 was a stunner–a fluke even–as everyone was on tenterhooks, tenseness and all, expecting the worst and hoping for the best–ambivalence personified. What if the Dictator bombed us to bits and pieces? It was most definitely a pee-in-your-pants moment. When EDSA 1 happened, I had this fresh job as manager of a Makati international trade office owned by someone close to the Dictator. In hindsight, it must have been my being a Media Specialist of Congressman Antonio Cuenco that got me the job. My new boss was ambivalent about EDSA, as it unfolded and witnessed by the world at large. Or could it have been that my new boss hired me to kowtow to the burgeoning powers that be? Yikes, a chauffeur-driven limousine was a perk that I had with the new boss. The limo bit, though, was not part of my our volunteer work at EDSA, doling out pre-packed pan de sal to the sea of people. Other individuals and groups were into the act too, giving out from their hearts, from their pockets, from their livelihood. 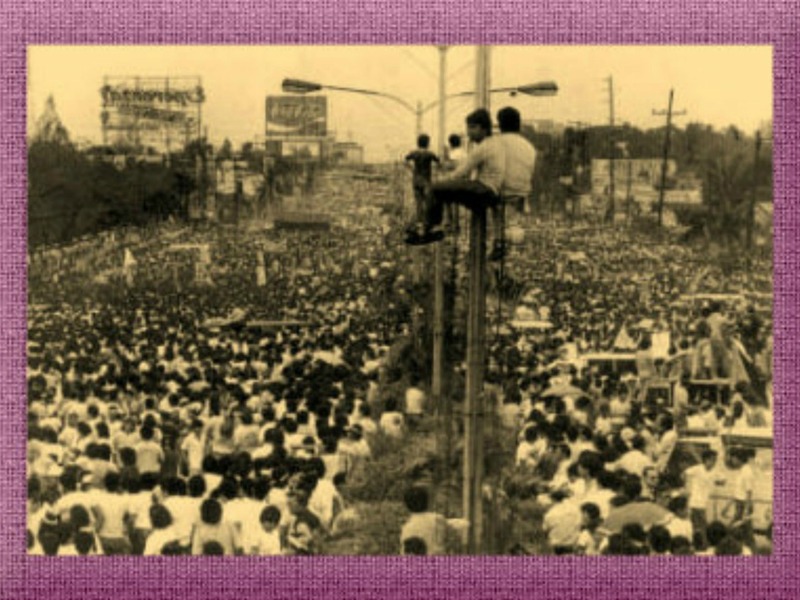 Well, everyone was a volunteer, everyone had something to share–water, pancit, soft drink, buco juice–anything–and that was the essence of EDSA. Yes, Virginia, EDSA was about sharing. Tense and festive, is how to describe those moments. People were monitoring the goings on from their radios and would erupt into cheers and applause at any news, however false it might be. 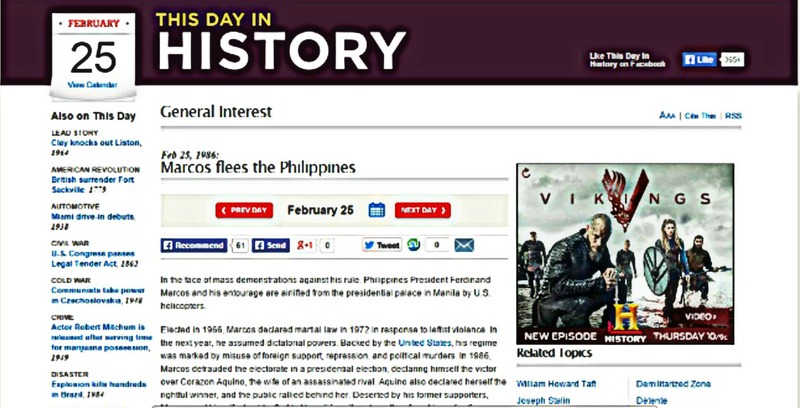 It was around eight at night that it was announced that the Dictator and his family fled Manila. And there was much rejoicing and hullabaloo the whole night and into the morning of February 26, 1986. And so history was made. Next Post A Manifesto: If We Don’t Act Now, Who Will?